Most of the matter in the universe is not visible, but "dark". 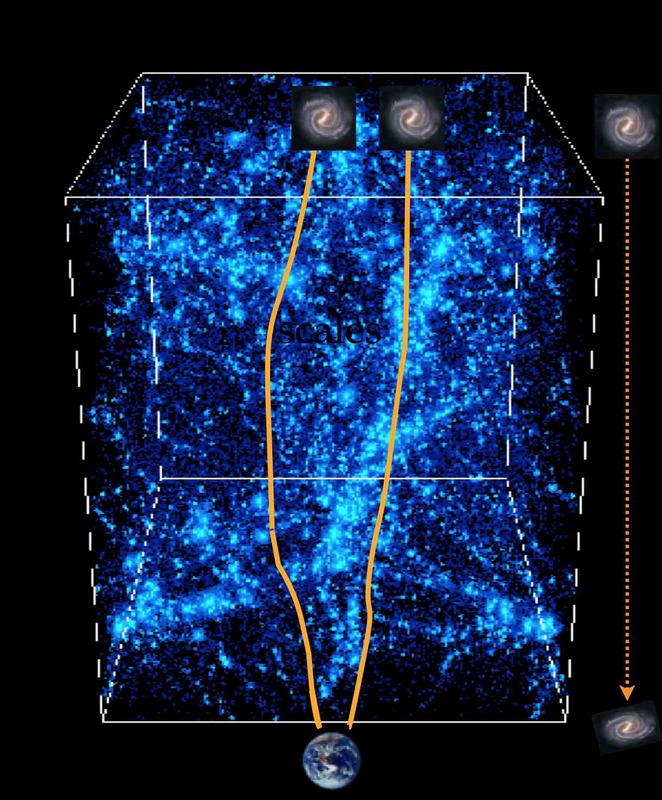 We cannot directly see dark matter, so we have to look for indirect ways to study it. Dark matter acts on light via the gravitational force. Light from distant galaxies on its way traveling to us is bent by dark-matter structures, and as a result images of galaxies are slightly distorted. These distortions are called cosmic shear, and we use them to map the distribution of dark matter in the cosmos. And from the evolution of those structures, we can deduce properties of dark energy. 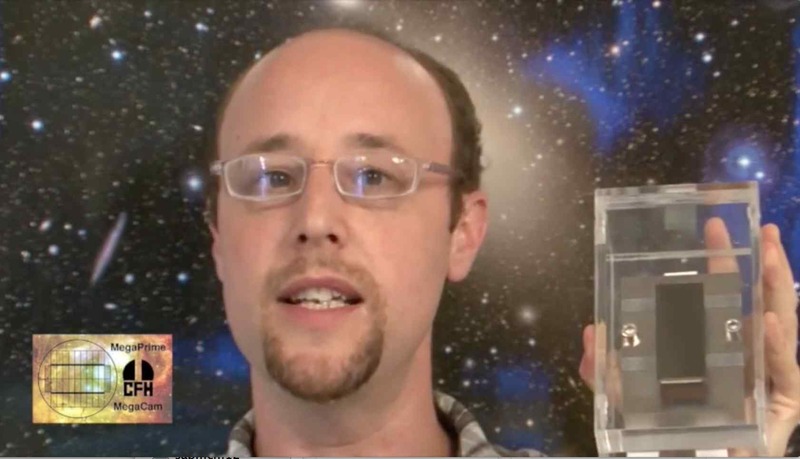 Left : Illustration of light traveling through the clumpy universe. The bending of the light causes the two galaxies to be distorted when seen by us on Earth. The clumpier the cosmos is, the stronger are the distortions. The review article covers cosmic shear observations over the last 15 years. It presents results on dark matter and its relation to galaxies, dark energy, and tests of Einstein's Theory of General Relativity. The review concludes with a discussion of the potential of cosmic shear for cosmology in the coming years. understanding of fundamental physics, exploring the origin of the recent accelerated expansion of the Universe, and distinguishing between dark energy models and theories of modified gravity. "Cosmology with cosmic shear observations: a review"